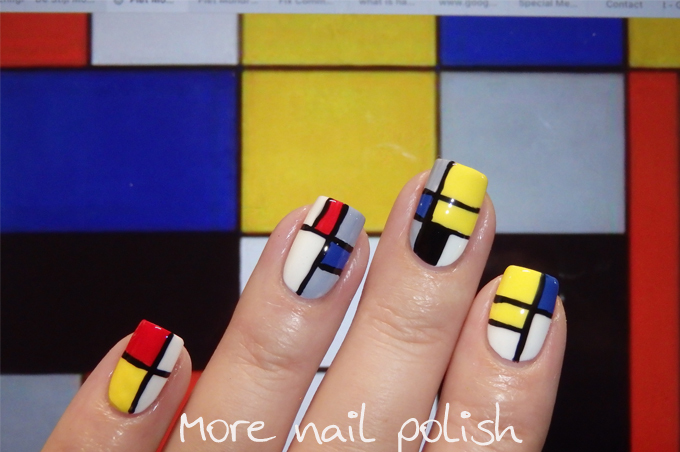 Can you believe I've never done a De Stijl nail art? Hmm... 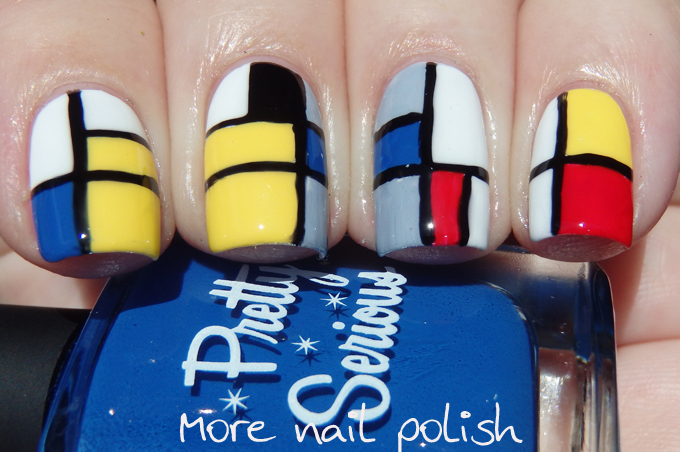 I do need one more mani for this week, maybe I can finally do this! Thank you. 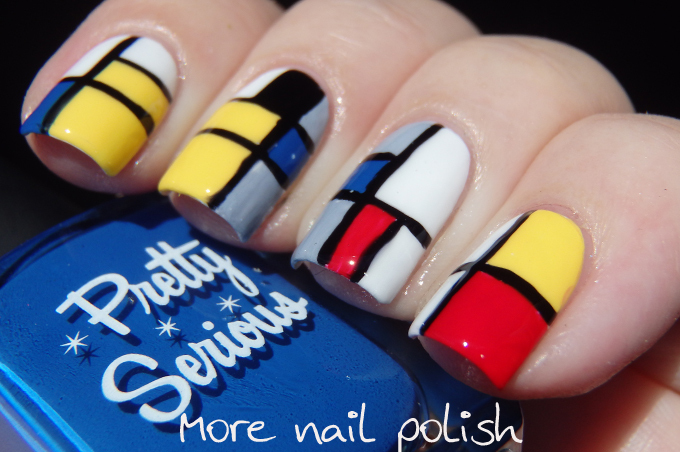 Not as neat as I'd like but certainly a very striking design for nail art. I can't draw a straight line free hand, I wish I could do. you did great job. 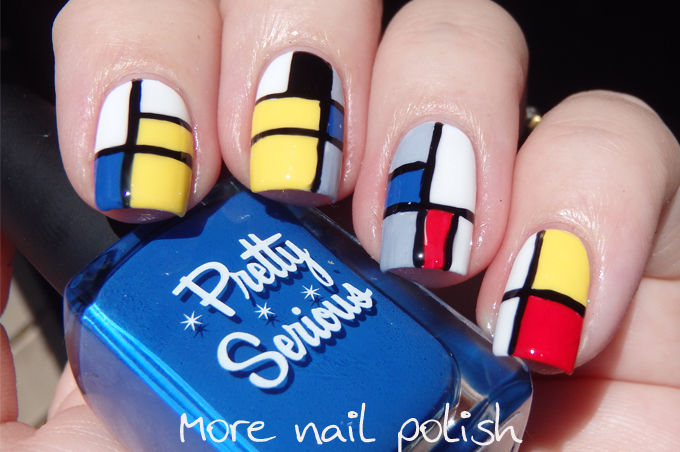 Lovely mani. 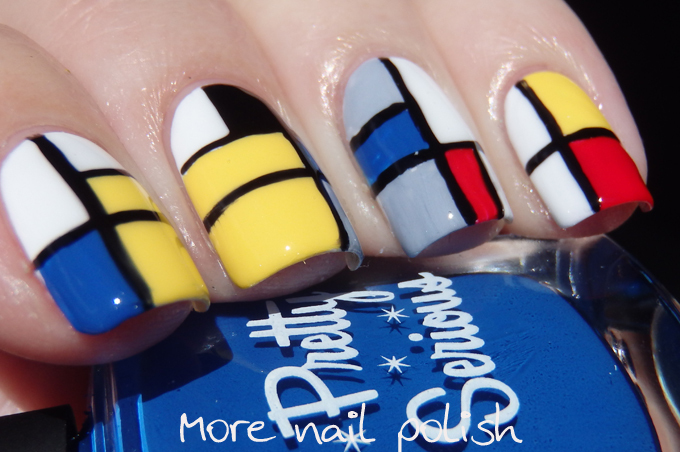 Your line work looks great here! You're being silly!